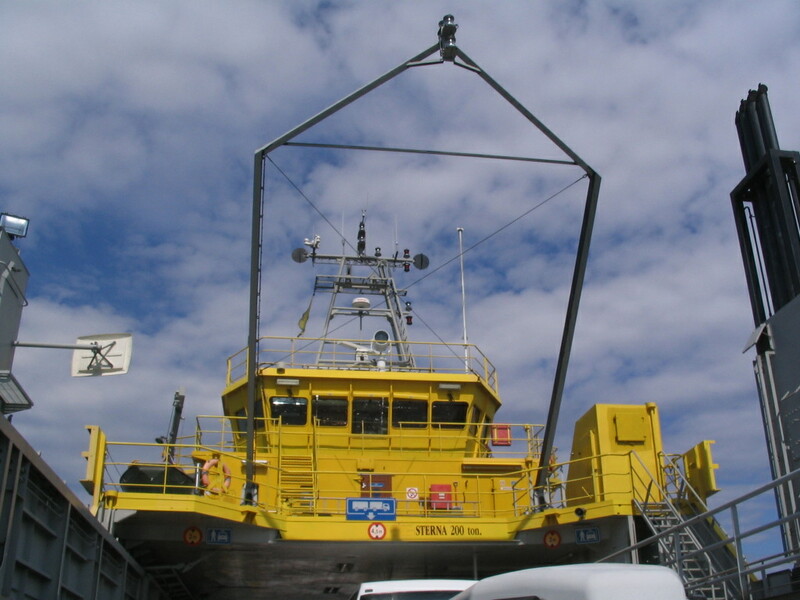 Our return voyage to Utö, to install the design-build projects we had designed over the course of the semester, took just the same route as the one at the beginning of the semester. 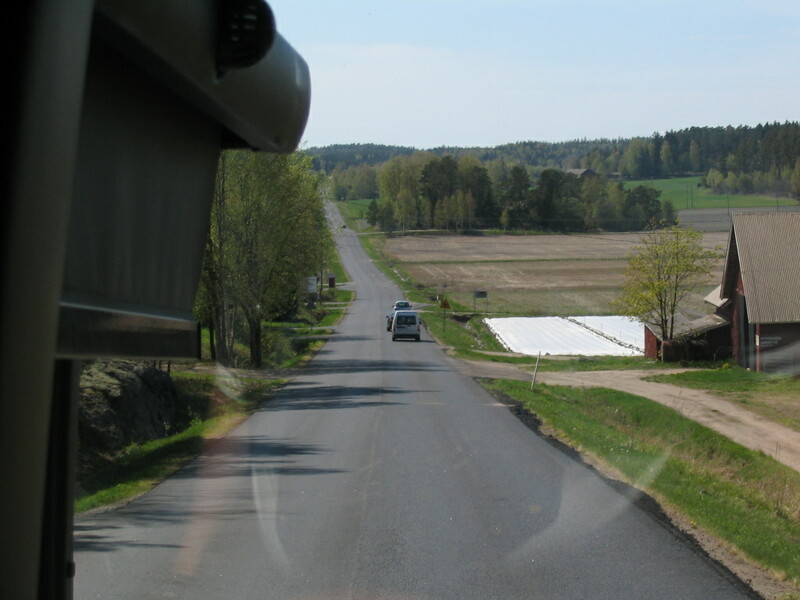 First, the bus rides to Pärnäs. 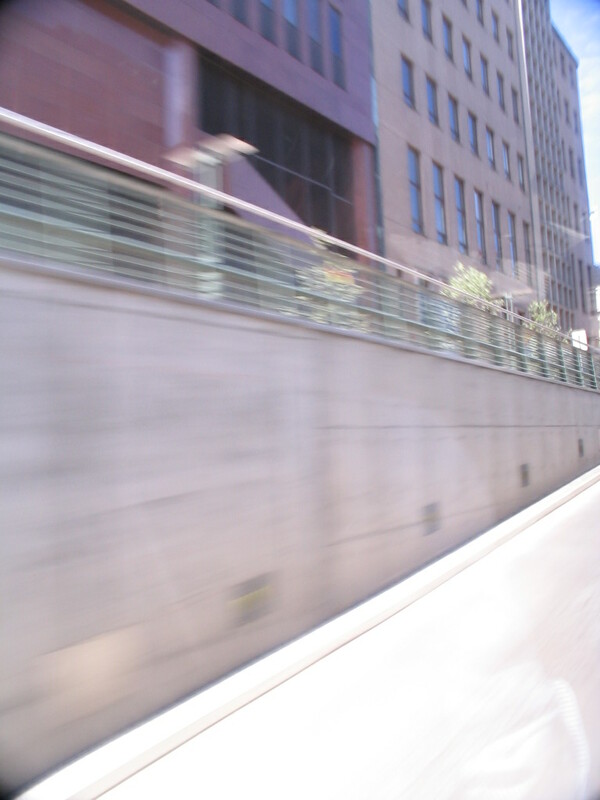 Speedily emerging up the Olavinkatu ramp from Kamppi's subterranean bus depot. 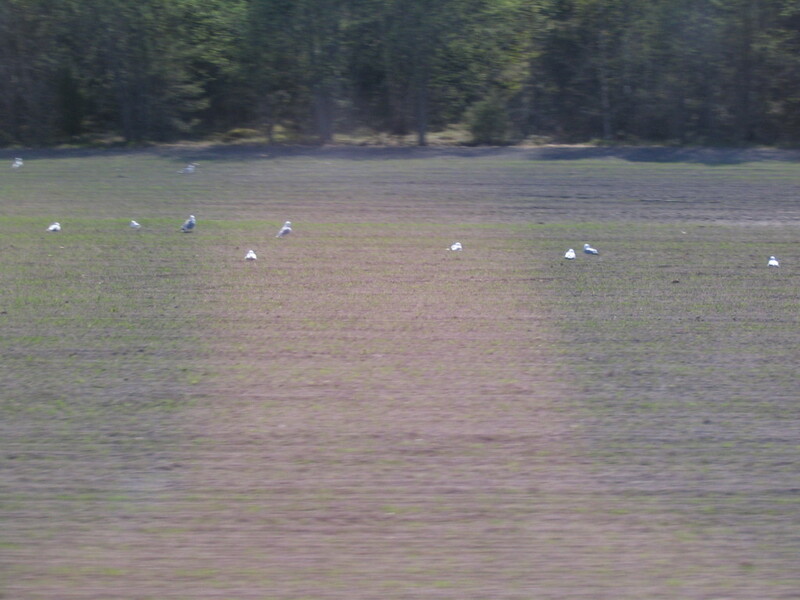 This gulf paralleling the street is for a rail line. 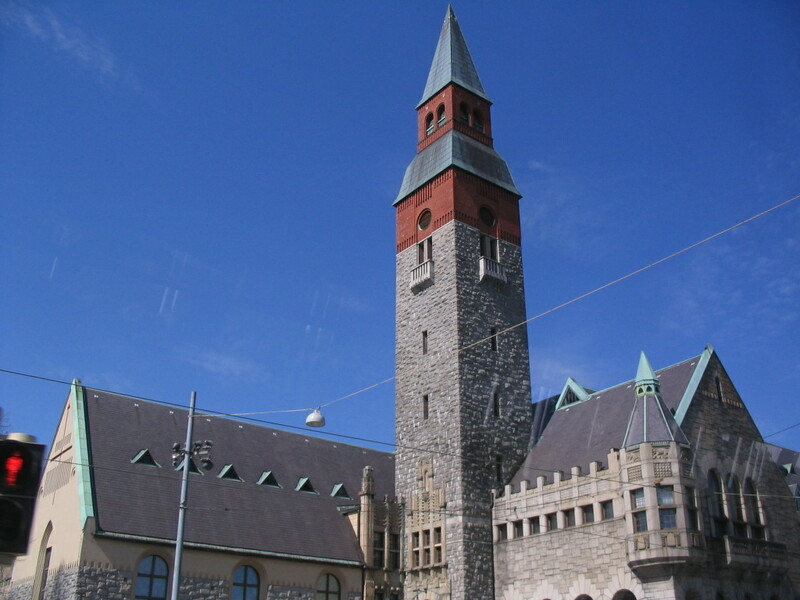 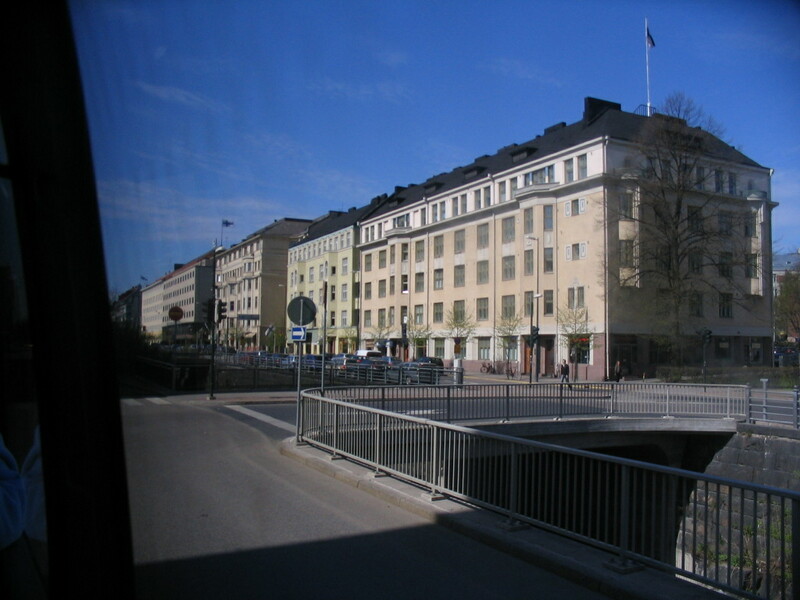 The name of the street is, aptly, Rautatiekatu (Railroad Street). 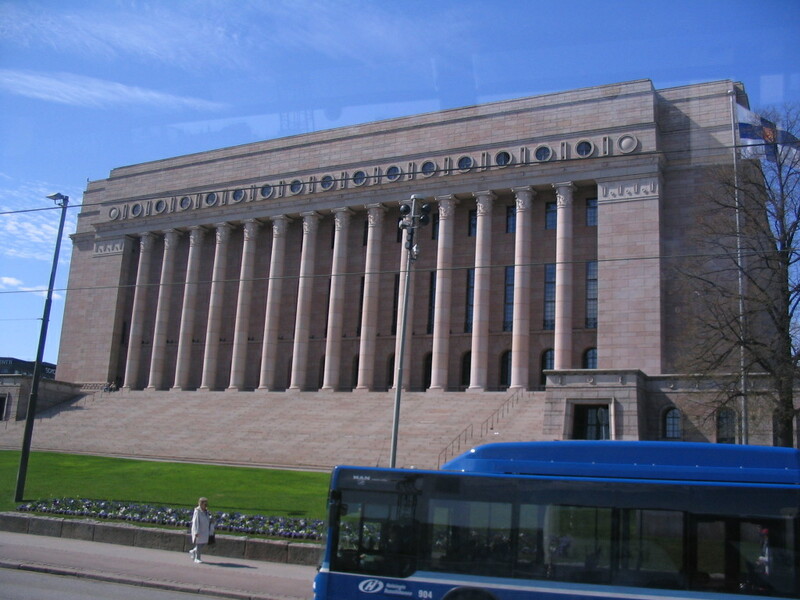 Heading northwest on Mannerheimintie, going by Parliament. 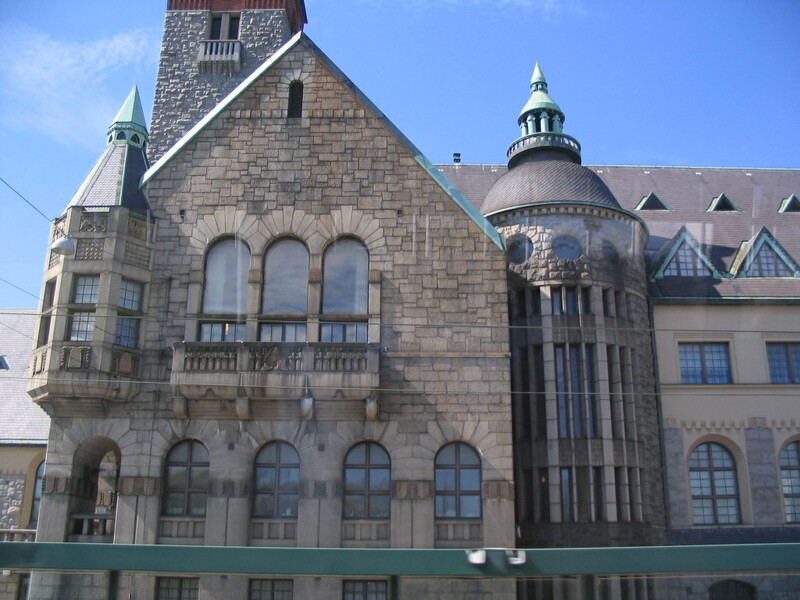 And then past the National Museum. 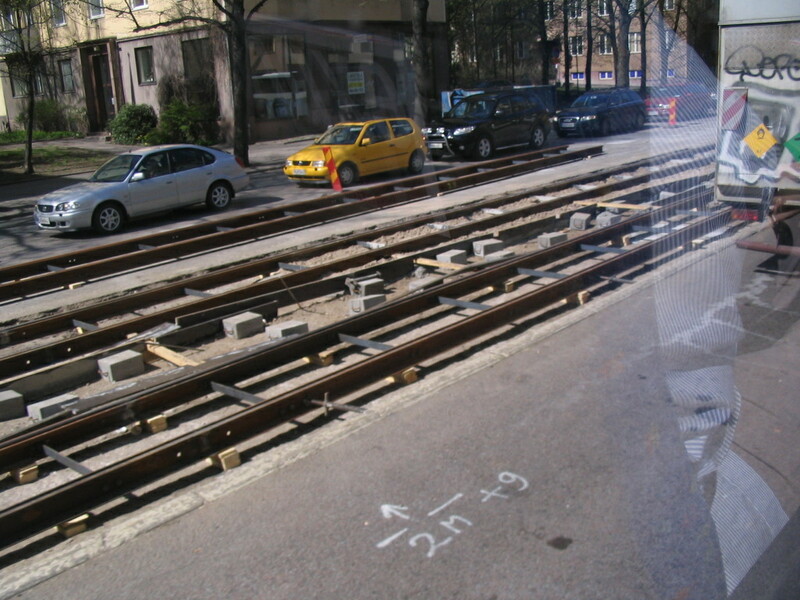 Workin' on some tram lines. 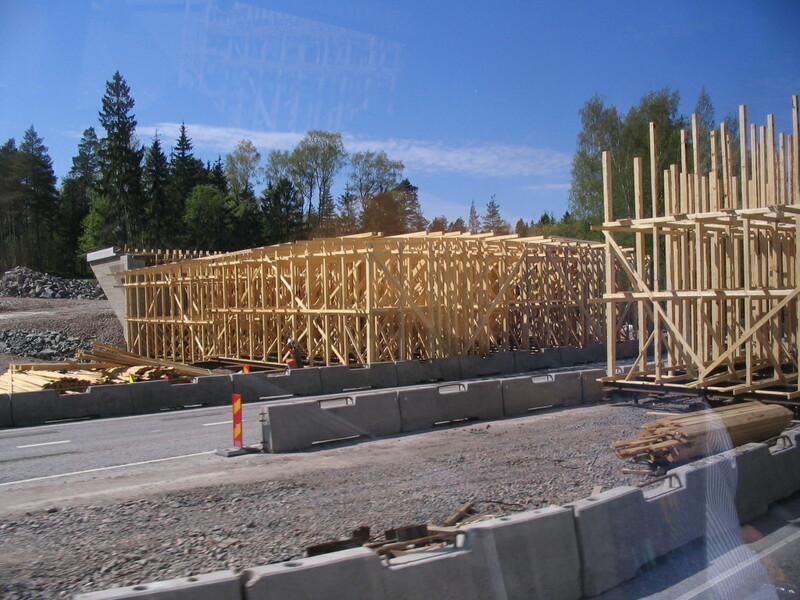 Out on the highway toward Turku, some strikingly dense formwork frames. 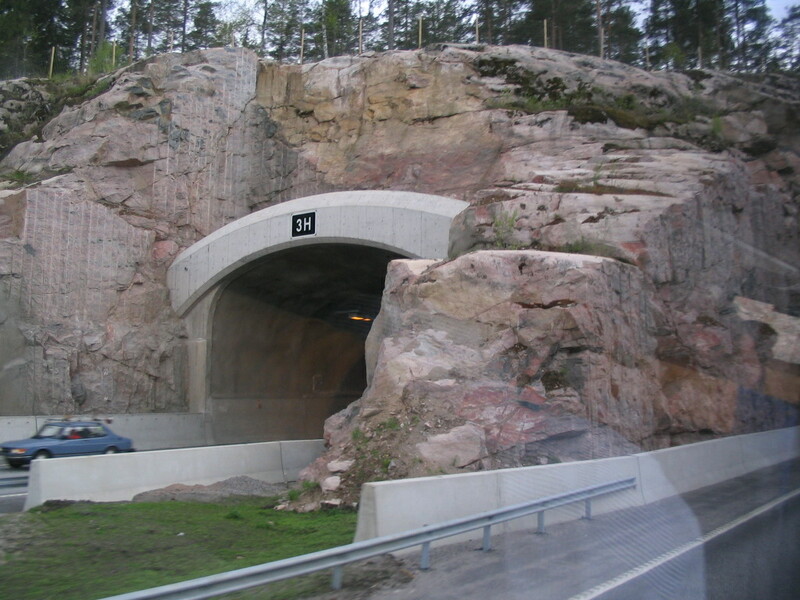 Unusually, the highway passes through a few tunnels (well, at least this one, and quite possibly more). 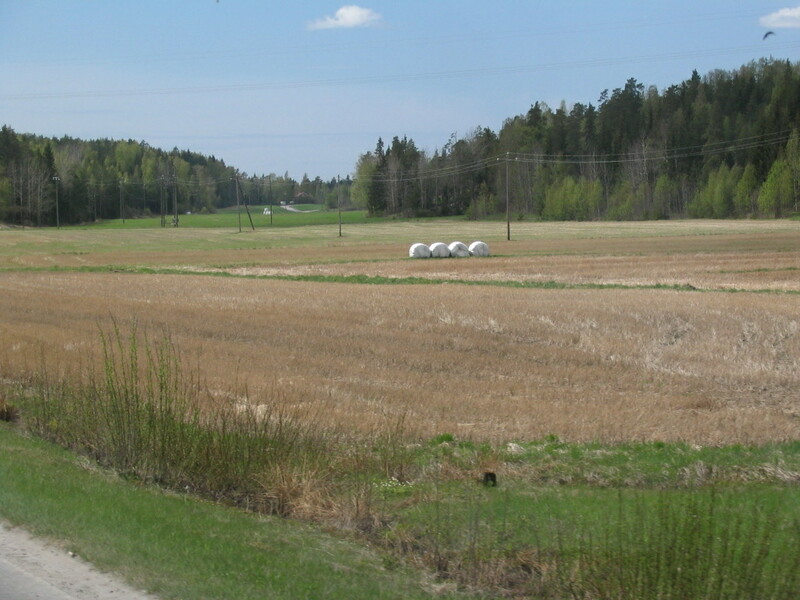 Early-season haybales sprinkled over a long diagonal view. 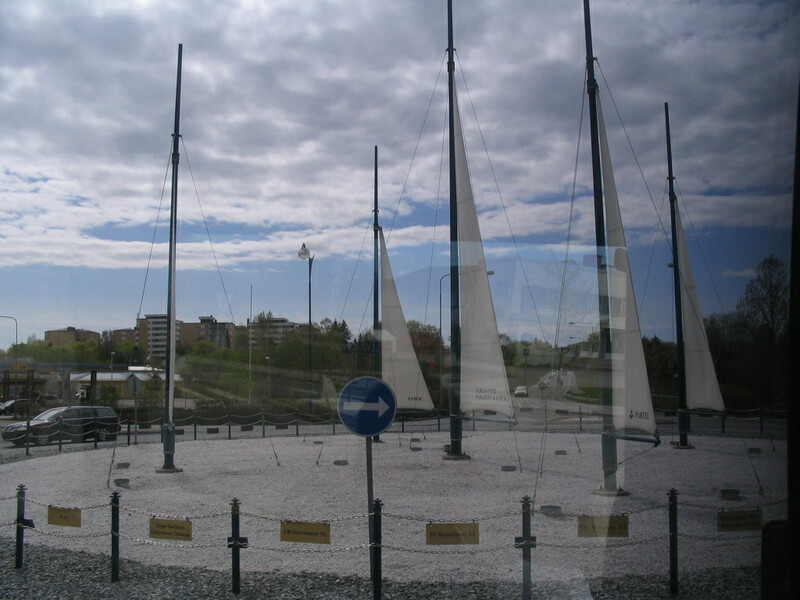 A set of sails in the rotary at Parainen, familiar from the winter trip. 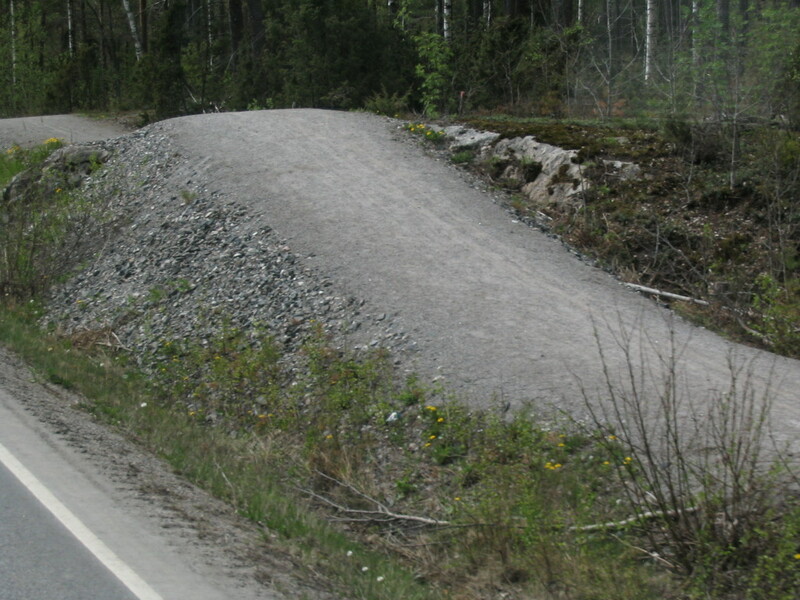 A curious side trail paralleling the road. 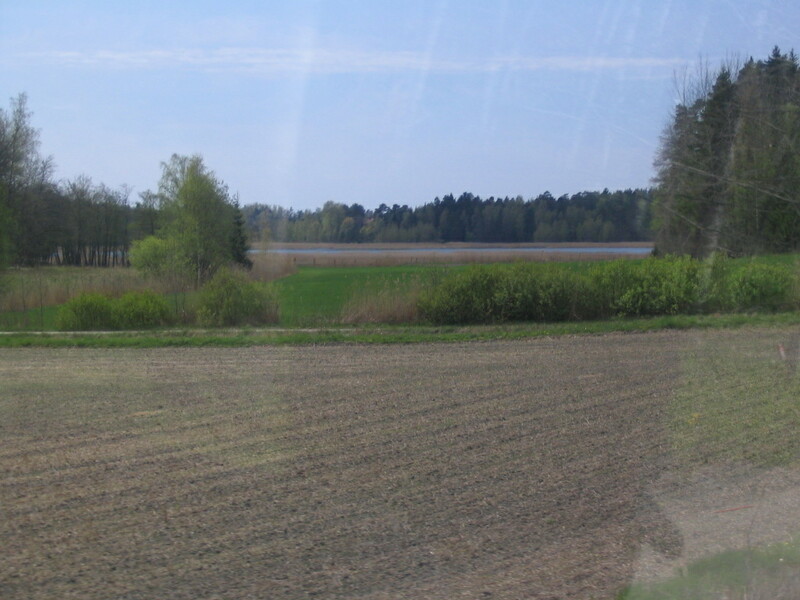 The landscape gradually got more and more watery, inlets interspersed with farms. 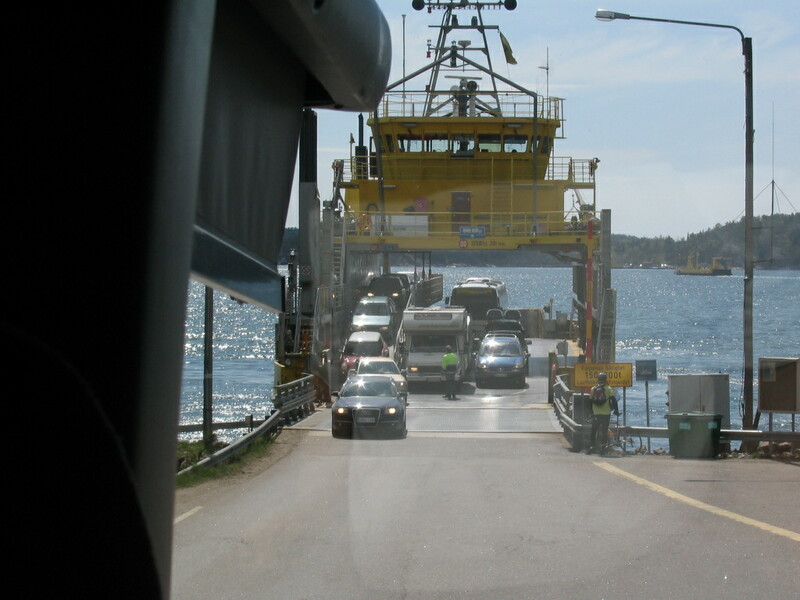 The car ferry that we would need to board to get out onto the large islands and continue to Pärnäs, unloading its oncoming cargo. 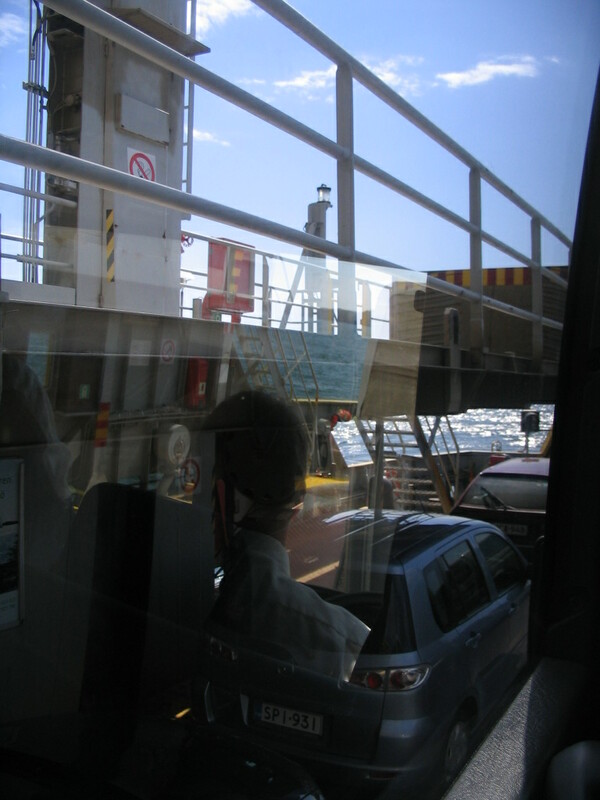 The view from the bus on the ferry. 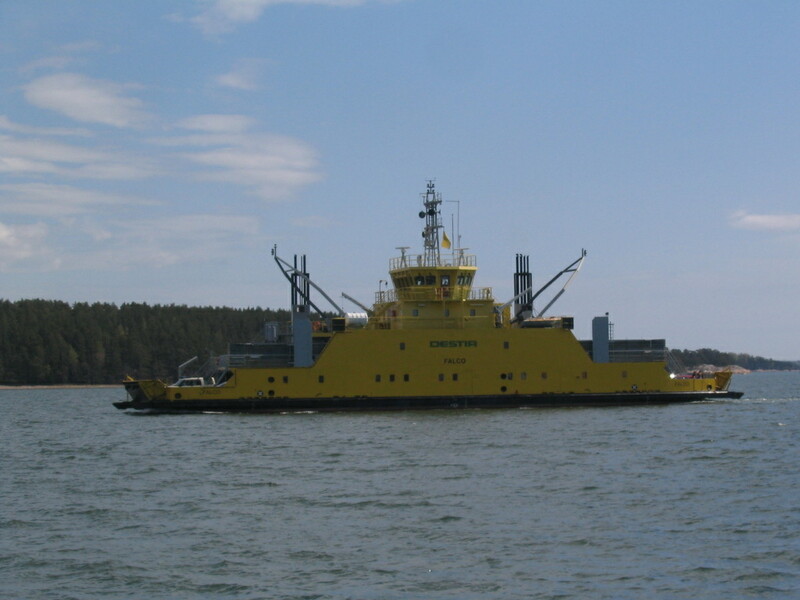 The opposite-direction ferry going by. 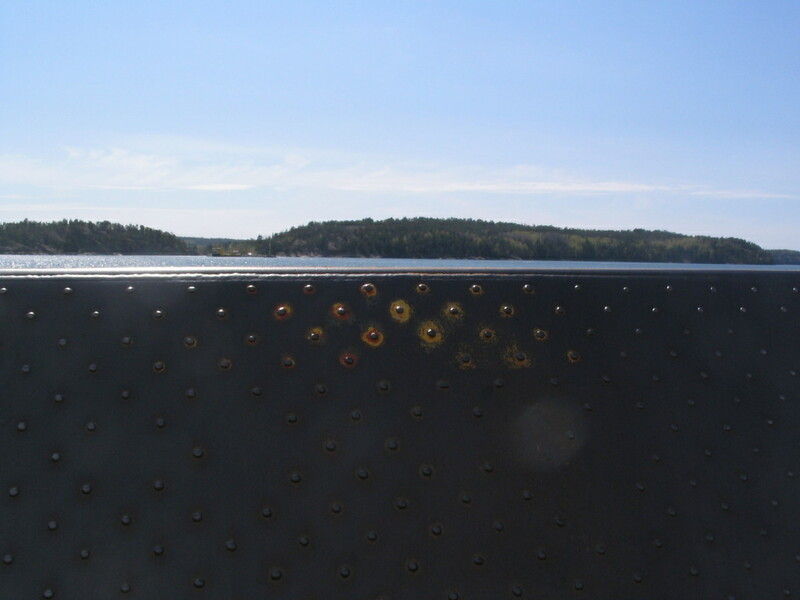 We were able to get off the bus and walk around on deck; getting in the way of the view here is the front part of the deck over which the departing vehicles drive, tipped up to contain them. 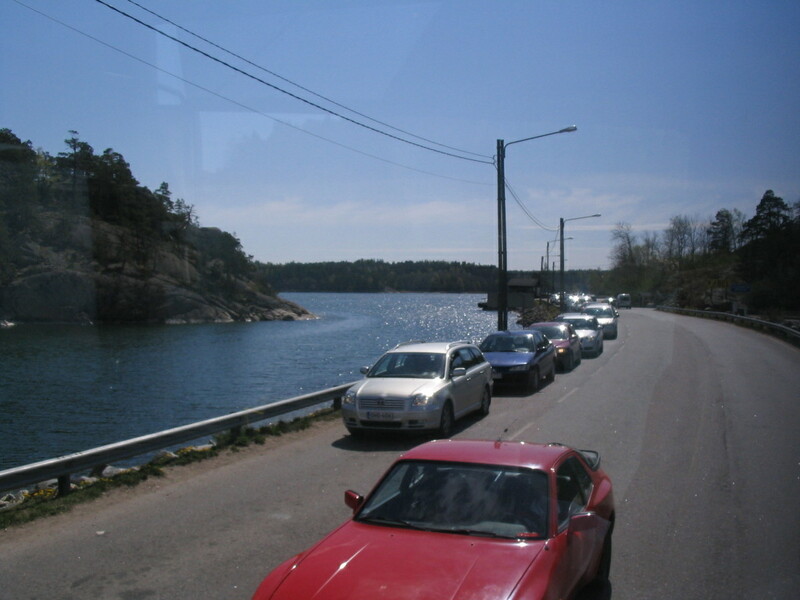 The line of cars waiting to get on the ferry at the other side. 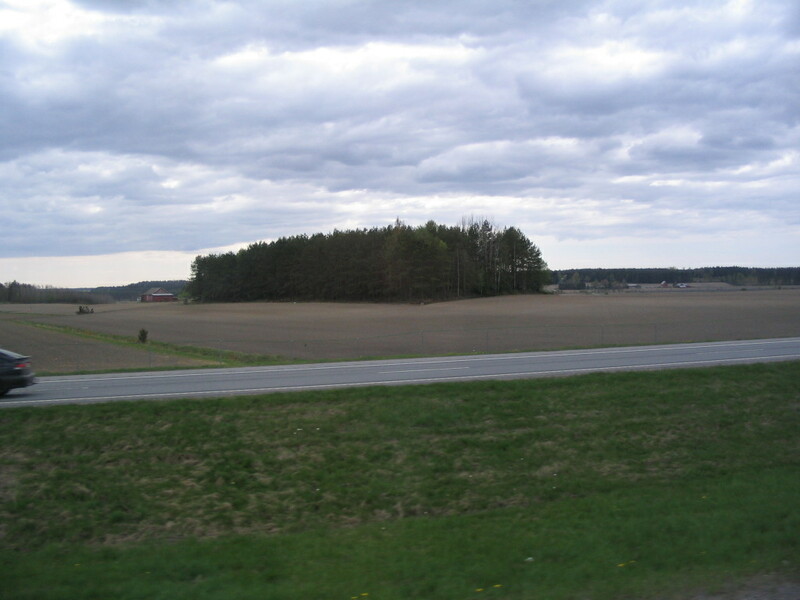 The further west and out into the maritime zone we got, the greener the farm fields seemed to get, although subtly so. 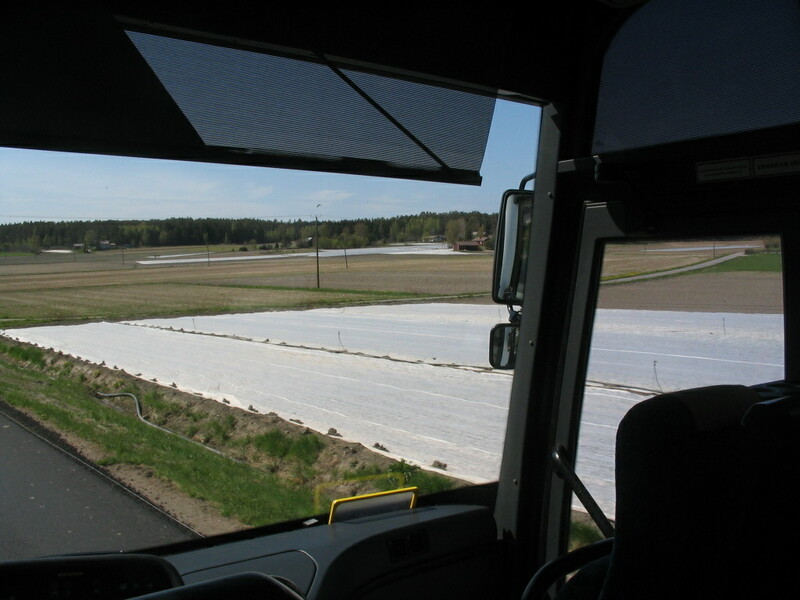 I wonder what those white sheets are protecting. 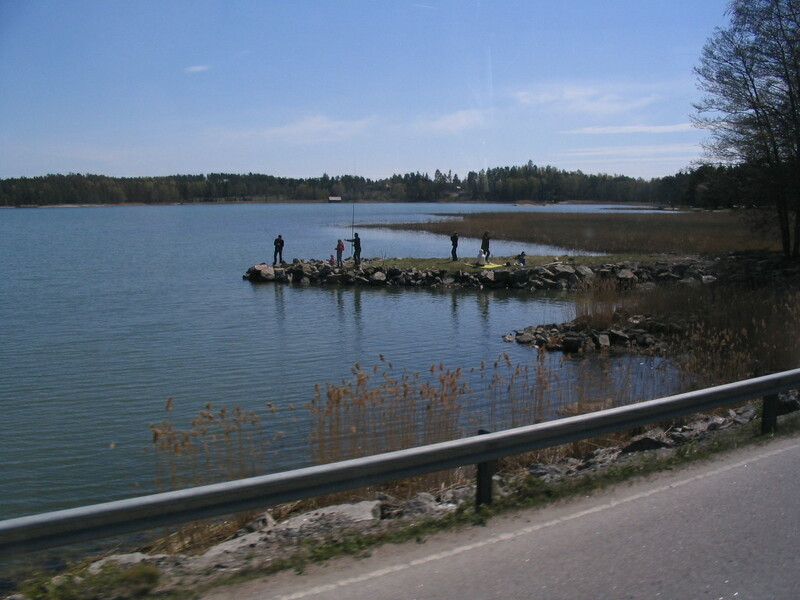 A fishing party, lacking only Young Monet to paint them luminously.